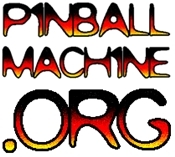 Andrei won the 2nd Pacific Pinball Open in a field of 67 competitors. On the last game, TRON, he put up over 100 Million on his first ball! Wow! Full details and write-up after we sleep for a week. Way to GO! Wins the PAPA & now PPE!